NS Heritage Unit Engine No. 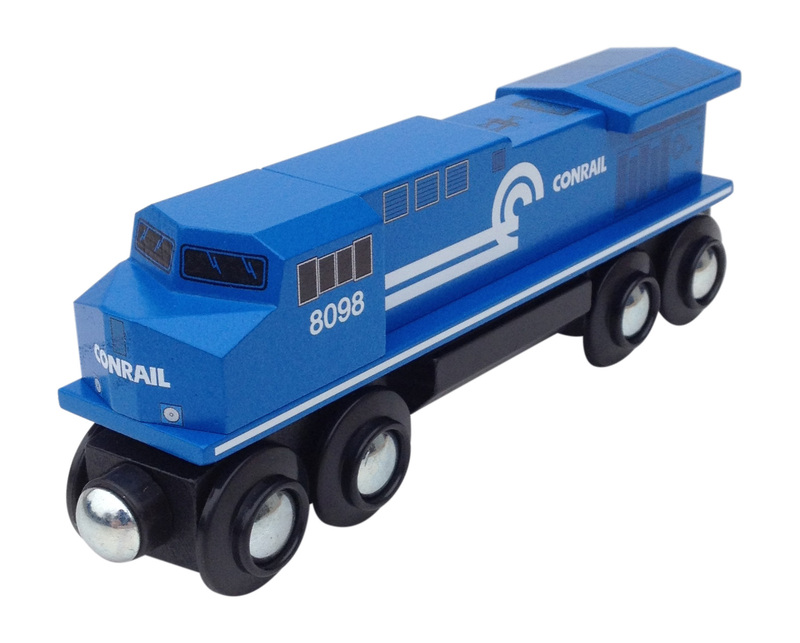 8098 painted with eye popping brilliant blue in Conrail colors now available! Click on the thumbnail pictures to see different views! Not bad looking for a government run railway. This is not your "General Purpose" engine you normally see in a wooden train, nope this is Norfolk Southern's Heritage unit engine no. 8098 painted in the Conrail logo. Model ES44AC. With all the correct detail just like the real engine, this one is pretty. 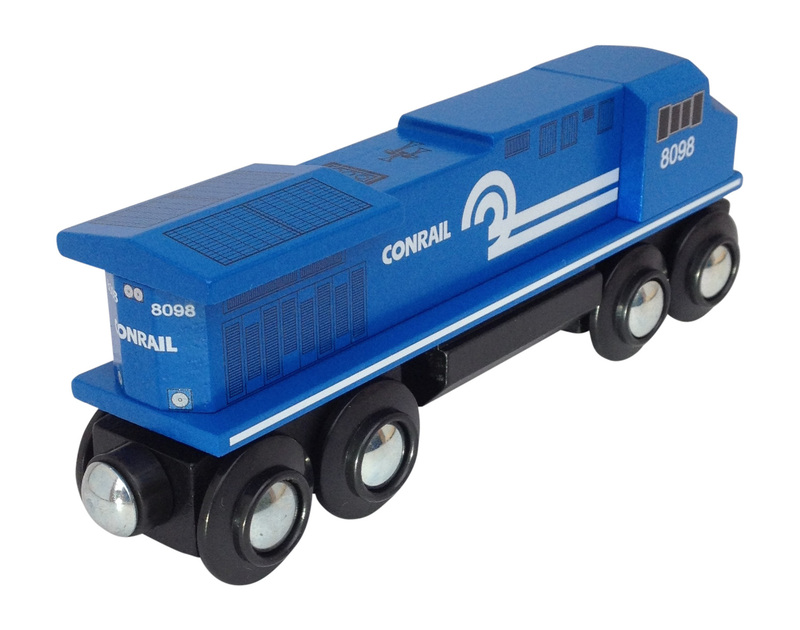 This Conrail wooden train diesel engine is approximately 5-1/2" long and made of solid Beech hardwood. Handles all sizes of curved track, fits through tunnels and under bridges, even negotiates ascending hills, unlike the competition. Crafted by hand & painted in detail, the quality of this wooden train is of the highest standards.